How is it that I can feel the community in this painting? 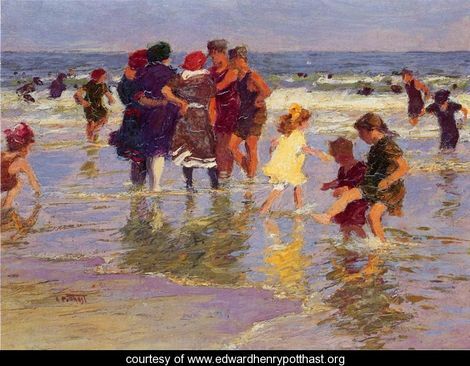 Edward Henry Potthast was particularly gifted at capturing the simple connections between people. The women have their arms around one another and you can almost feel the intimacy of their chatter. The children are splashing and giggling together, entranced with the kersploosh! they can make by tromping in the water. 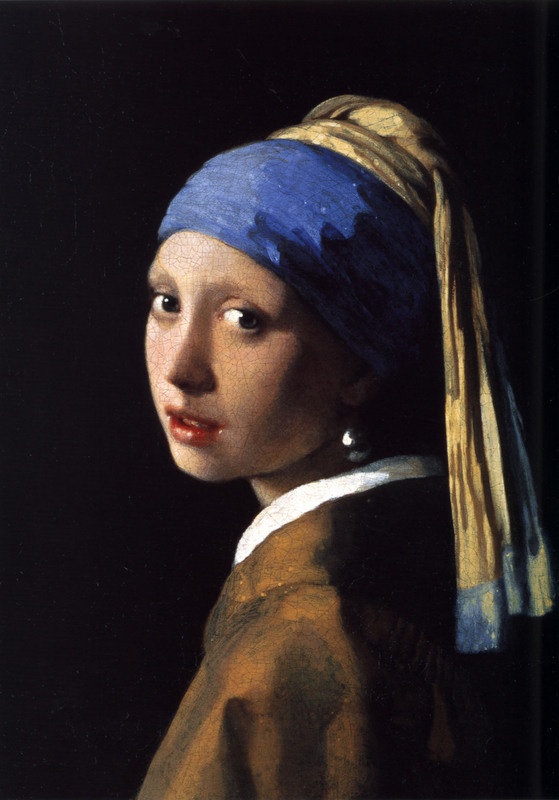 Tracy most certainly did her research of Vermeer’s art. But even she gives evidence of the way in which Vermeer’s art compelled her to see the paintings in person, and to understand more about why he painted the subjects he did. Our culture demands detachment and isolation. Beauty demands connection and engagement, no matter how tragic the underlying story. Enter into a moment this week. Really see something beautiful. Ask questions. It’s analytical, to be sure, but it’s restful as well. This entry was posted in Musings and tagged A Girl With A Pearl Earring, art, Beauty, Identity, Inspiration, Joslyn Art Museum, Rest, Tracy Chevallier.